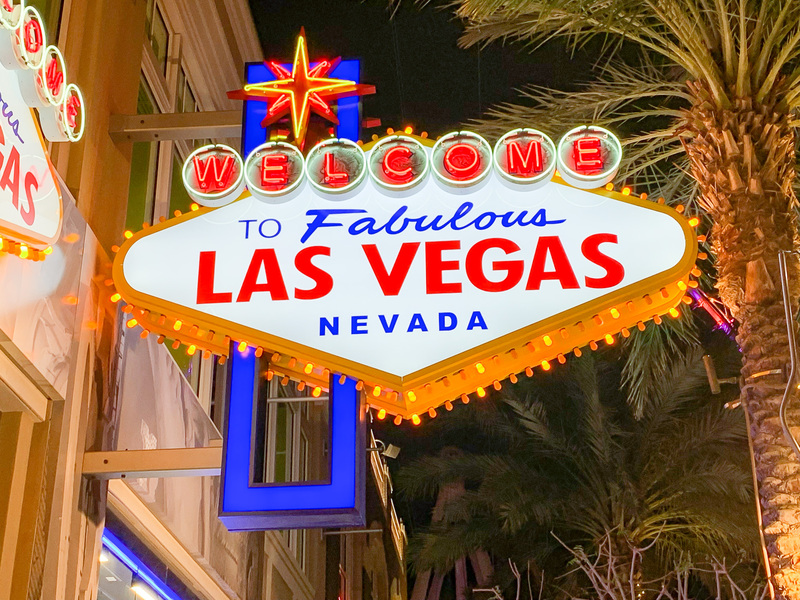 For March, we spent a long weekend in Las Vegas, started a marathon training program, spent a little over $7k and saw our investments stay relatively flat. Written by Adam on April 8, 2019. Updated April 25, 2019. 17 min read. Personal. 7 comments. For the last year and half, I’ve created quarterly reports about my expenses and investments. These posts are long, many over 5,000 words. I’ve decided to mix things up and tweak the format a little. Instead, I’m aiming to do a monthly breakdown that includes highlights on a few things. I learn a lot about myself through journaling – taking time to put into words how things are going and reflect on them. I also enjoy reading these areas from other people (Joe from Retire by 40 does great monthly updates for example). It also sounds like fun! 1. What’s New With Me? March was a relatively quiet month for us. I traded in my skis for hiking polls and started browsing AllTrails for good hikes. March and April are called the “mud season” around here (I term I had never heard in Florida). The “mud” comes from the snow melt that clogs up trails and makes for a less-than-fun hiking experience. This meant I didn’t end up doing as much hiking as I hoped. In an attempt to get outside, I upgraded my RunKeeper subscription to pro which gave me a great training program for running which I’ve enjoyed following so far (more on that below in the goals section). 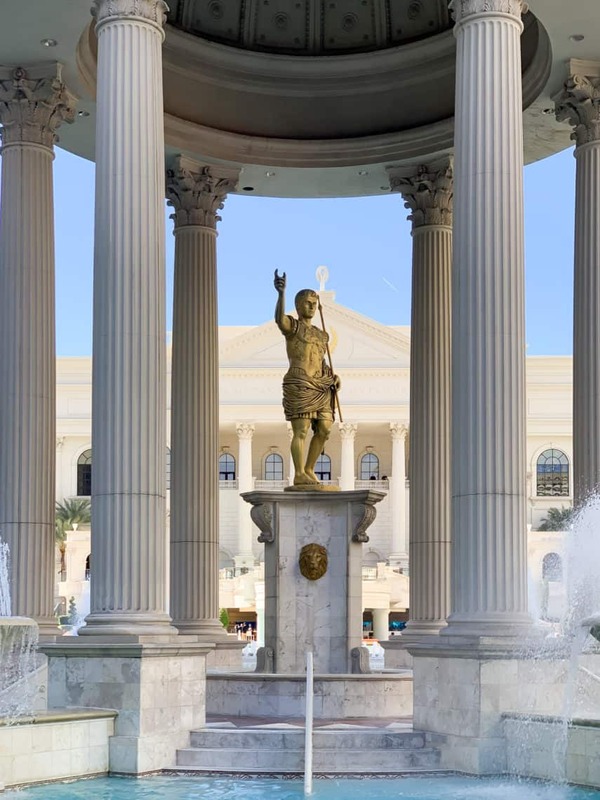 The biggest update from March was our 4-night trip to Las Vegas! 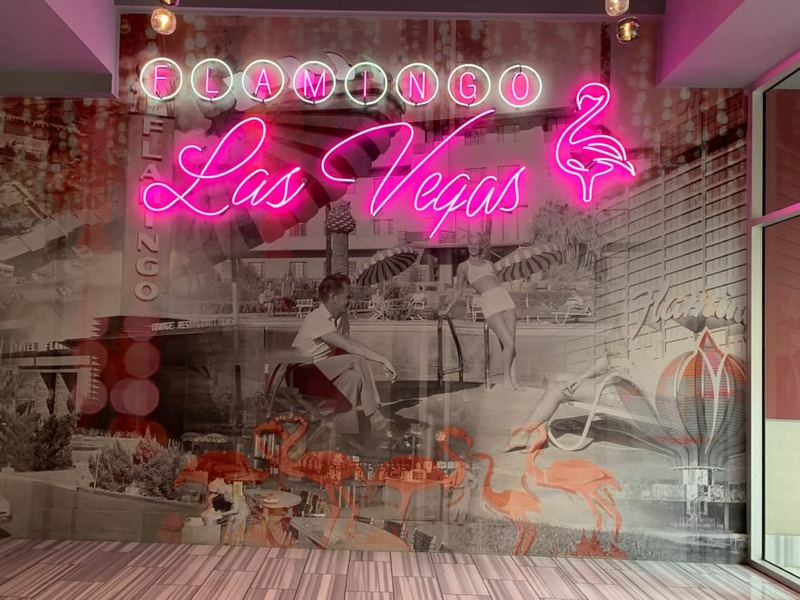 We drove down and spent the long weekend at The Linq Hotel on the strip – complete with a ton of walking, eating, drinking and touring the many decked out hotels. Watching Cirque du Soleil Love, The Beatles show. Watched The Michael Jackson Cirque show (and no, I haven’t seen Finding Neverland yet). 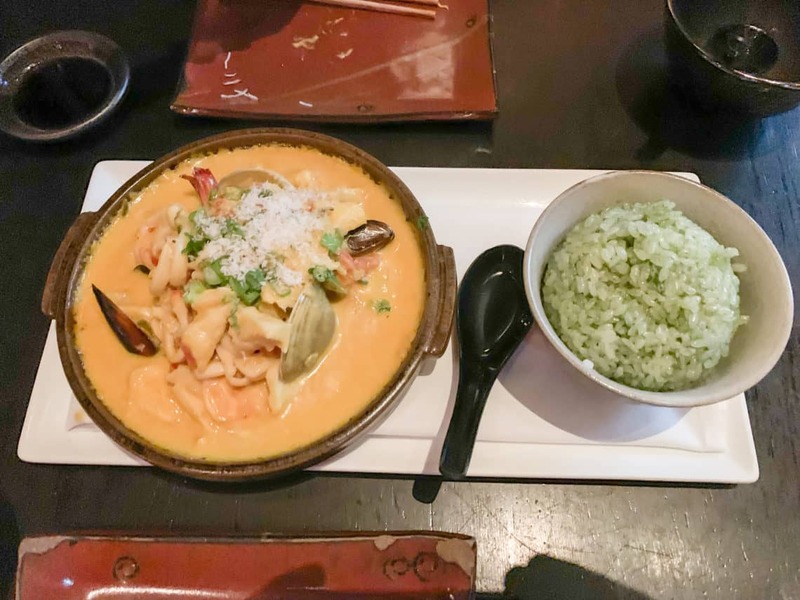 Tasty Peruvian Sushi at Sushi Samba. 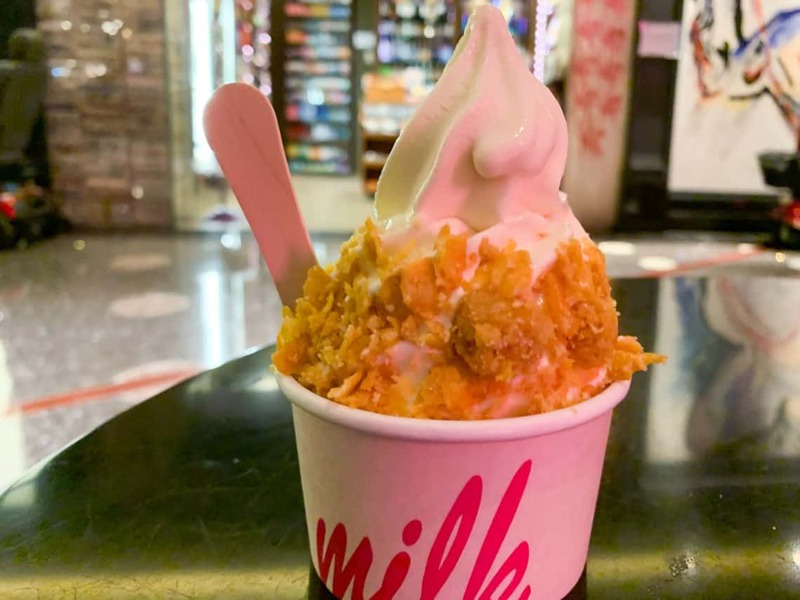 Enjoyed some tasty fried chicken at Pok Pok and dessert at Milk Bar. 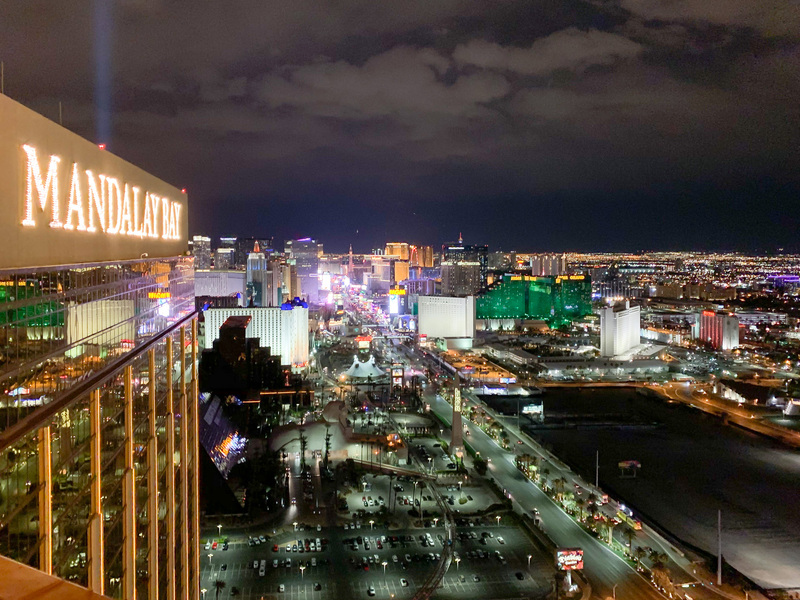 Hit up more bars than we could count – my favorite being The Foundation Room at the top of Mandalay Bay – complete with a view over the Vegas strip. 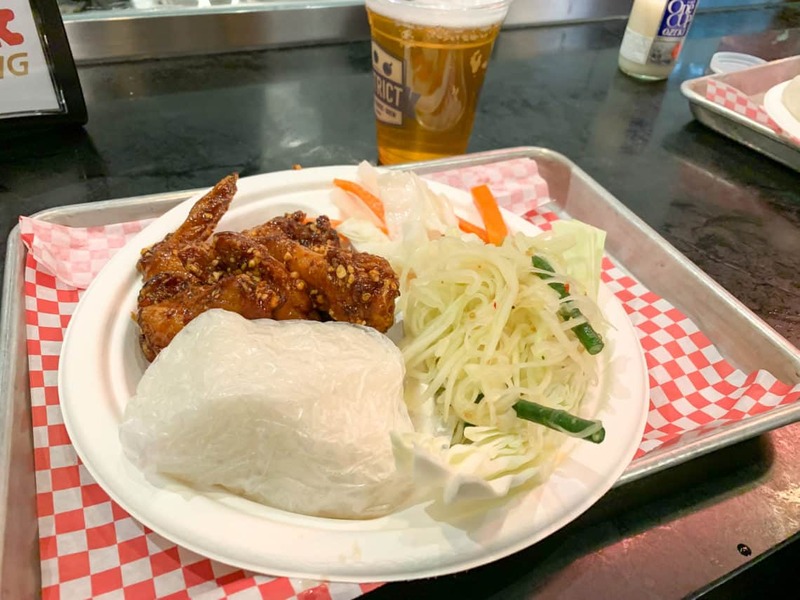 Had a tasty dinner at Roy Choi’s Best Friend Restaurant. 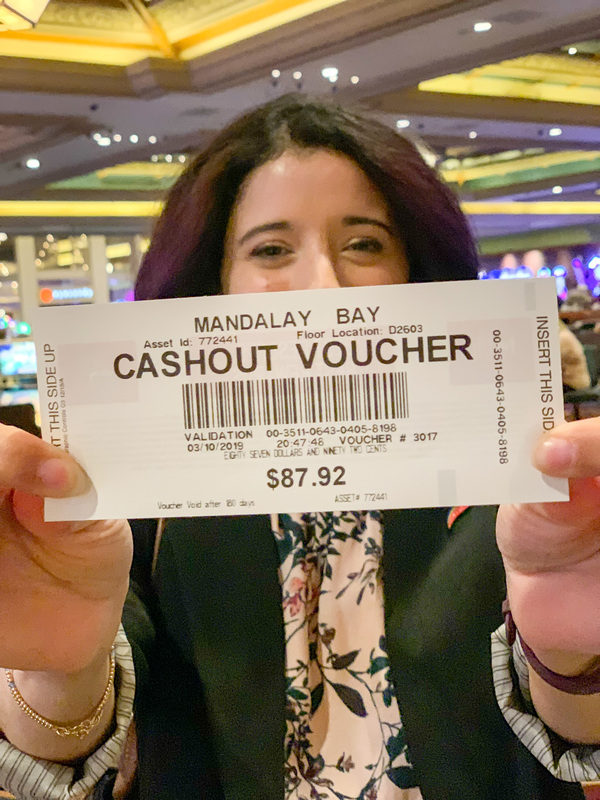 I lost $60 gambling (blackjack) and Mrs. Minafi made $72 (slot machines)! It was a fun trip that took us quite a few days to recover from (that’s how we know it went well). 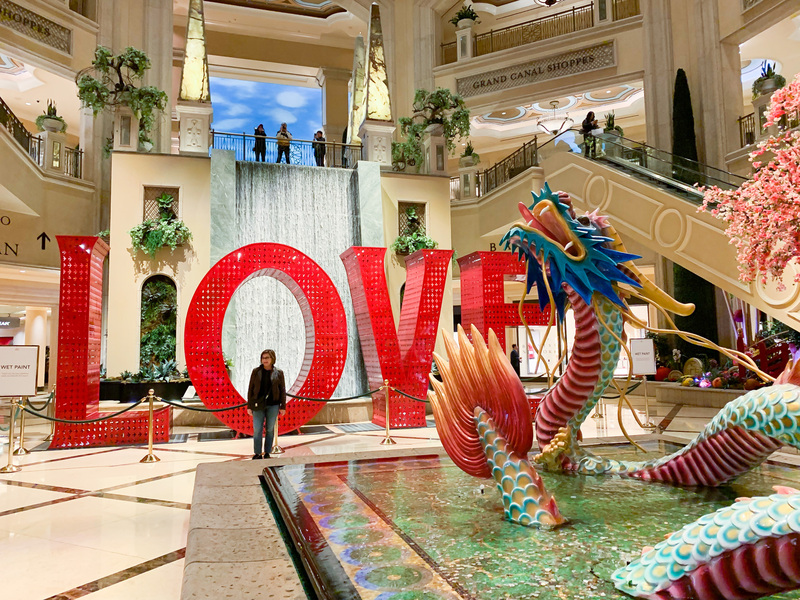 Most hotels were still decked out in decorations for Chinese New Years, which were fun to explore. 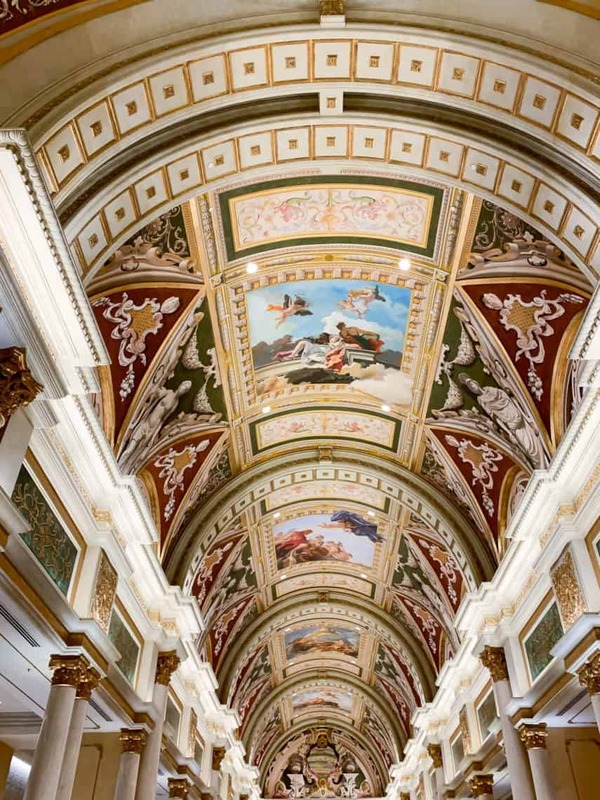 By the end of the week, we’d walked from The Venetian down to Mandalay Bay. This 4-night trip wasn’t cheap but it was worth it. All in all we ended up spending $3,053 on it – with about $1,200 going to live events, $700 to food, $500 to hotels, $400 to alcohol (we pretty much always had a drink in our hands) and another $200 in gas to get there and Lyfts while in town. I also split out alcohol that’s part of meals into its own category to get a better idea of how much is spent eating vs drinking. Cocktails with dinner add up! While we could have gone cheaper on this for sure, there’s no doubt of that. This was our chance to splurge and do every single thing we wanted. Even with that the cost wasn’t outrageous. Luckily our tastes don’t require front-row seats, the finest dining or expensive bottles of wine. A few weeks ago I shared a few of the goals I’m working on and how I’m organizing them. Many of these I’m just getting started on, but hey, I have to start somewhere. They don’t have hard-set dates, but I would love to complete all of these this year. I mentioned before I’ve never been much of a runner. Once I made the decision to that I was going to run a marathon, it became a lot easier to focus on that – while ignoring other conflicting goals. For March, I ran 10 times for a combined 65.5 km (40.6 miles). My longest run in March was 7 km – which was the longest run of my life. Considering a marathon is 42 km, I’m already 16% of the way there! I’m aiming to get to the point I can run a half-marathon by mid-way through this year (if things go well). Running during the summer in Utah won’t be run so I’ll see. RunKeeper has been keeping me on track with a good program that mixes up lengths, pace and even gives time to rest after some of the more challenging runs. If you’re trying to increase your conditioning, it’s worth the $40/year for support. On October 12, 2019, there’s the Antelope Island Marathon/Half Marathon. I’m aiming to be ready to do the half marathon by then – or maybe stretch myself and sign up for the full one. Time will tell on this one how I’m feeling. Antelope Island is famous for its buffalo, with one the largest herds in the US. The idea of doing a marathon there sounds like fun! Just about every day of the month I’ve been working on this. It’s the biggest programming I’ve worked on in a while, and I’ve loved every minute of it it. Like most developers, I’ve kept track of my tasks over on GitHub. With only a handful of left, Minafi v2 is getting close! This isn’t some major release that’s going to wow everyone about Minafi – it’s more of an incremental update that’ll enable me to do a lot more fun stuff. 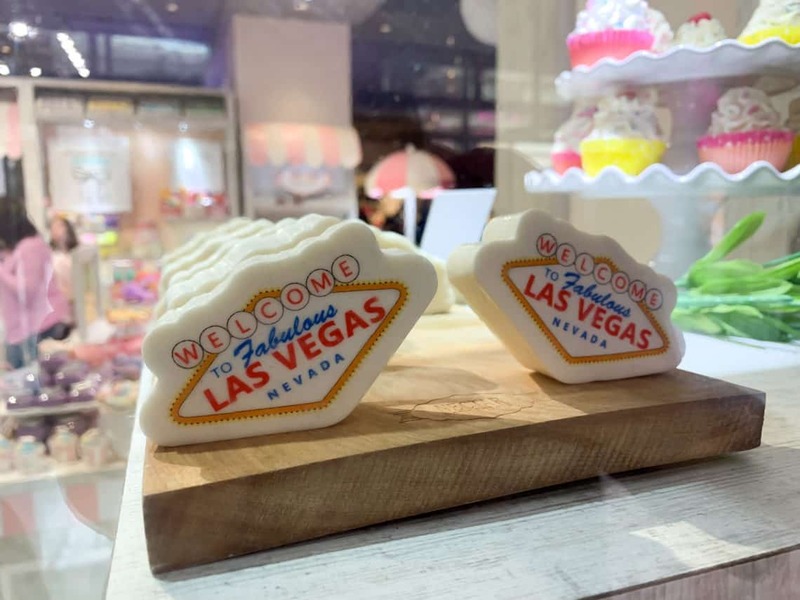 There may be a few new things that bring on some early adopters, but this isn’t a full product launch that’s aiming to bring in the traffic. One of the common pieces of advice for bloggers is to just write and the rest you can figure out in time. I realized I wanted to post less often, but focus on longer, in-depth, interactive articles that provide value. With that in mind, I wanted to tak steps to organize Minafi around that goal. A site you love can inspire you to create more, and that’ll inspire you to love it more. Since I have the time now, it made sense to make Minafi into something I truly love and see where it goes. This may sound like something vey different than traditional product development, where you focus on product-market fit. I see that as found already, so this is more of a “technical debt” type of update that turns Minafi into a playground for me to build on. 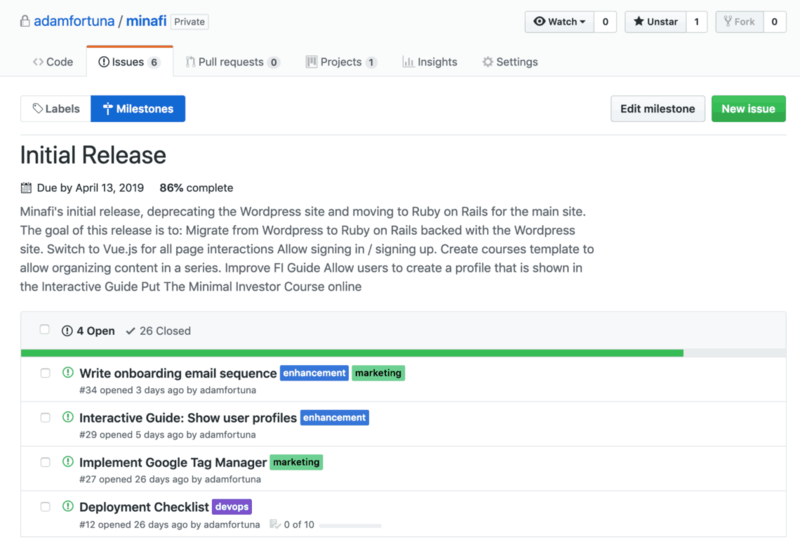 If you’re curious about the technical details, check out the preview of the “How Is This Site Built?” post that I’m writing as I’m working which highlights how I’m using Ruby on Rails, Vue.js, Tailwind.css and WordPress together to build V2. This one is a bit more ambiguous. It’s more of a catch-all for everything else I’m working on. Here’s a few updates on what’s working and what isn’t. Learn Japanese – A+ – Practiced Japanese all 31 days of March using Duolingo. Slowly but surely progressing! Digital Declutter – A – Began a 30 day social media cleanse on March 22. For these 30 days I’m not going to check my personal Twitter, Facebook Instagram or use Reddit. So far so good! (note: I am allowing myself to check Minafi’s Twitter on MWF for a few minutes, but not keep the app open). After the 30 days are up I’ll evaluate my usage of these in my life and decide on how to use them going forward. Go for a hike every week – F – Sadly I haven’t been doing this. I’ve been running 4 days a week, which leaves fewer hiking days available. It’s also been raining a lot, which has made me less enthusiastic about going on a long trek. I’m hoping to hike more in April though. Play more games with friends – NA – I haven’t set up a game night yet, but soon. 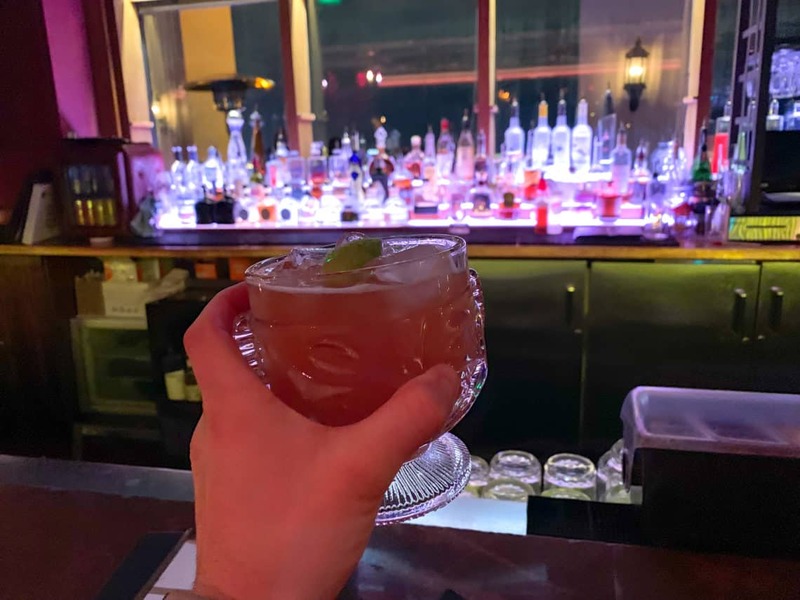 We have hung out with friends quite a bit more lately – with a Hot Ones Challenge and some bar nights out with friends. Aiming to still do this in April, but it might shift if we decided on camping with friends instead. 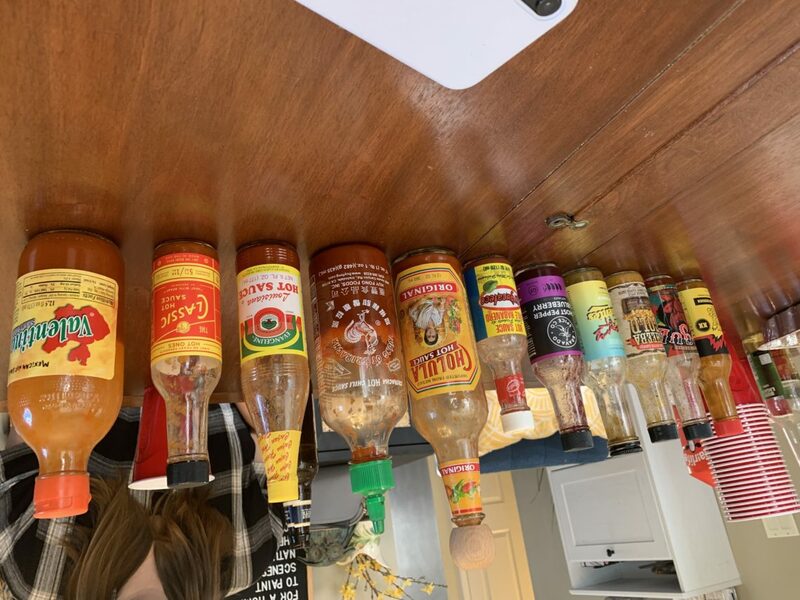 Hot ones challenge with our friends. We all survived the Last Dab. Settle into our apartment – NA – By the end of April I want to be able to say we’re fully moved in. This isn’t a probem in our apartment – but it’s an open loop in my mind I’d like to take care of. This means nothing in boxes, no piles of things waiting to be organized, nothing waiting to be sorted. I haven’t done a great job doing a little of this each day, so I’m going to instead tackle it in spurts – doing a bunch of things at once. Our spending for March came in at $7,608.34 for our household of two. Heres’s a breakdown of what that looks like so far this year. A full 54% of our spending was on travel and our apartment. Considering we didn’t travel at all in February, and have relatively few travel plans this year (Yellowstone, camping, NYC & FinCon), we’re not worried about this. 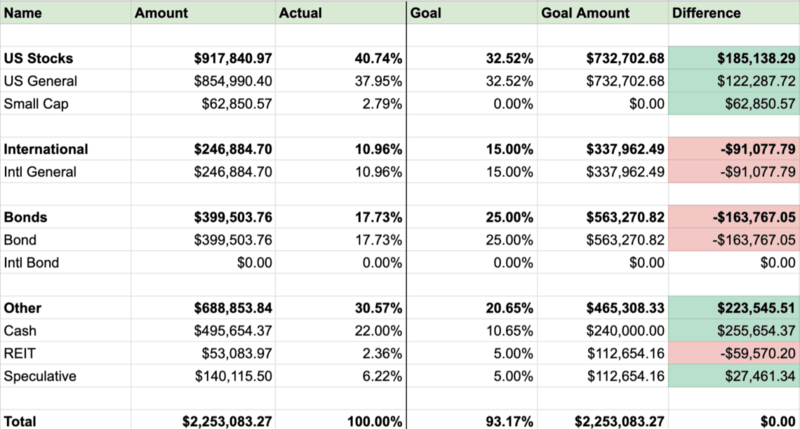 If our spending for this quarter continues, we’ll spend $81,000 for the year – right on track with our spending ideal of around $80k (which puts us in line with the 4% considering our investments below). Home – $2,078.40. Almost all of this is rent for our apartment. We’re not homeowners, and that’s by choice. We went from living in a suburb to being right downtown where we can walk most places. I don’t know where we’ll end up long-term, but for now we’re enjoying being able to walk more places. We could probably find a place elsewhere in SLC and save $1k/month, but it wouldn’t be anywhere near as nice or convenient (we also don’t like moving). Travel – $2,155.08. 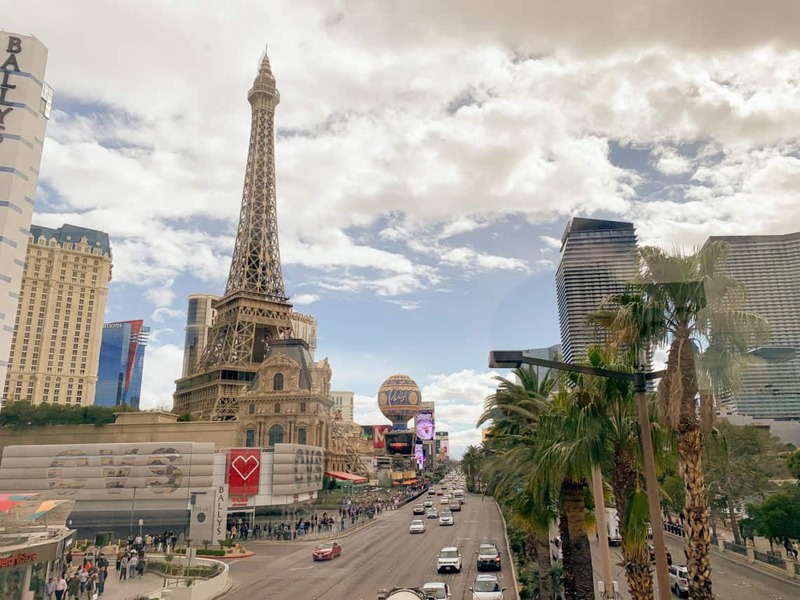 This includes most of our Las Vegas trip as well as flights to New York City in June. We had $500 in JetBlue credits from a delay we were able to use for some heavily discounted non-stop tickets (allowing us to save our ~160k Chase points for another trip). Entertainment – $698.70. This category is called entertainment, but $450 of this spending was actually on vices. We restocked some of our bar and other things. The rest includes the occasional movie out as well as movie and music services. Food – $723.66. 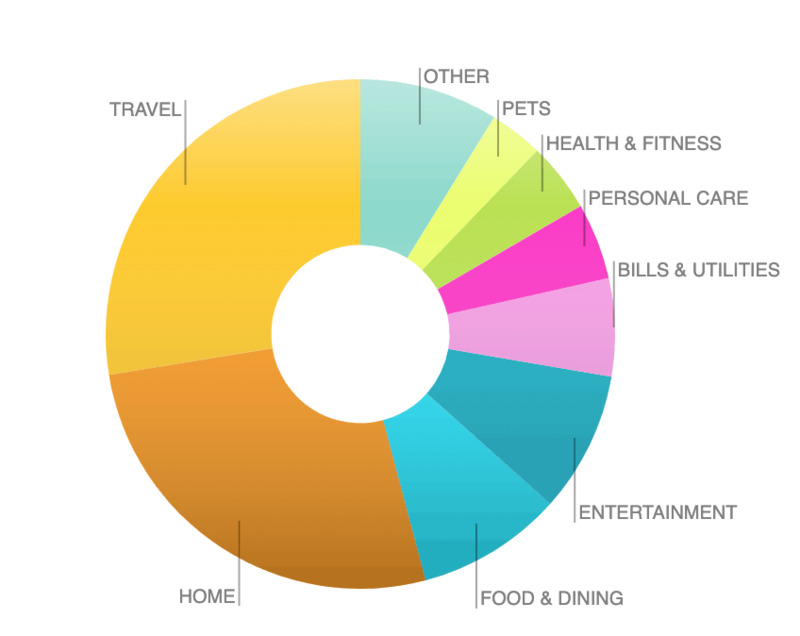 We didn’t eat out much in March – except when we were traveling (which is part of travel expenses). If we eat from a grocery store on a trip, I count that here, if we eat at a restaurant at a trip, that counts towards the travel budget. Of this amount, $515.39 of this was groceries. I’ve been trying out new recipes which has been fun, but a bit more expensive. My go-to’s so far have been Ethiopian Doro Wat and Turkey Chili. Since leaving my job I wasn’t sure how that would impact our spending. At first, I thought I’d want to go out every night to get more time with people. It turns out the only thing that’s gone up is our “bars” category (part of entertainment) which has been more of a social aspect. I’m aiming to lower this and spend time with people in other settings (like games and camping). I didn’t make any income aside from a few bucks here on Minafi from the occasional referral. Mrs. Minafi is still working, which provided some much-needed health insurance and additional income (much of which goes into her 401k). All things considered, our withdrawal rate from savings was on pace to be about 1% for the year based on these first three months of my time off. In other words, our investments should continue to grow more than we spend right now based on our savings rate – assuming the markets are up. In the past, I’ve usually listed out each and every investment here, which was quite a chore. I’m going to take a shortcut and using some screenshots from Personal Capital instead! 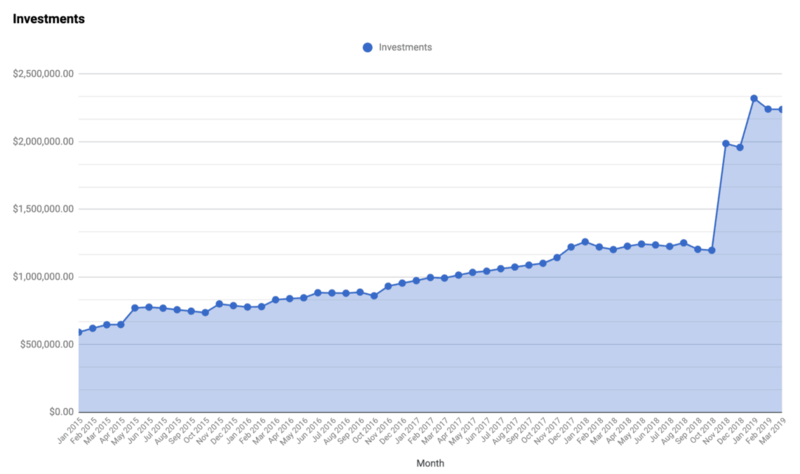 Our investments ended March at a value of $2,239,230.00, dead even with a month ago, but up 15% since December (!). Starting in November I began selling some shares from the IPO. I continued selling them a little each day for the next 3 months – into 2019. Being able to finally do something with this stock has been amazing. Those spikes are Personal Capital not knowing what to do about having money in multiple accounts – selling funds on one brokerage, transferring it to my bank, then transferring it to Vanguard. Things have mellowed out since I stopped selling, but the day-to-day amounts fluctuated and weren’t the most trustworthy representation for a while there. Having the bulk of my net worth in a tech stock meant a roller coaster the last few months. The value went up to $2.56m and down to $1.74m within a few months. I’m relieved beyond words that the stock recovered from there and jumped from $19 to $34 in just over a month. I was dollar cost averaging the sale throughout the fall and rise, which ended up working out well. (Turns out it would have been better to wait and sell, but also worse to sell immediately). Our monthly investment balances over the last 4 years has been a constant march upwards with a welcomed bump last year. I ended up selling most of my holding from $PS, but kept about $140,000 – or about 6% of my total investments. One of my personal guidelines is to limit exposure to all single stocks to 5% at most (with the other 95% in index funds). 6% is pretty close. If I were to sell more now I’d be in a higher capital gains bracket + NIIT tax, so I’m OK waiting. There’s something about continuing to hold an investment in a company I believe in and worked at for so long. While their financials are strong, the stock is more likely to do well if markets as a whole do well. If there is a sudden market drop, I’d consider selling some of this one. These are quite a bit off from their targets, but they’re in the right neighborhood. We have a LOT of cash right now, but that’s partially due to taxes. We’ll end up paying a bunch of taxes for 2018 (maybe ~$45k) plus another ~$80k in 2019. In both years I’ll likely get hit by the NIIT tax, which eats away 3.8% of amounts above $250,000 (filing jointly) as well as another 5% in taxes due to the state of Utah. We’re also not counting our chicks until they’ve hatched on the classification of the IPO stock. We believe it’ll be characterized as long-term capital gains, which would allow selling $200,000 and paying 15% + 5% to Utah+ 3.8% NIIT for a total of $48,000 in taxes. If this ends up being characterized as short-term gains, then that’ll move us into the 35% tax bracket – potentially doubling our total taxes. Add to that another $400,000 in stock that I’ve sold in 2019 already. That’ll be taxed at the same rate. Once I know for sure how 2018 taxes pan out I can set the right amount aside for next year. I classify these as cash, but they’re in a Simple Goals Account earning 2% interest. I’ve banked with them for years and absolutely love how they recently started offering competitive rates. There are CDs offering slightly higher rates I might consider moving to after taxes are sorted out and I know more how much cash I’ll need and when. Setting cash aside for early retirement is the easy part. We’re aiming to set 3 years cash aside, or about $240,000. Since Mrs. Minafi is still working, we’ll likely lower this to 2 years cash once taxes are done. Apparently when you own a percentage of a company that is sold, where part of the payment is in ownership of the new company (which is an LLC) and that company then goes public years later it makes for a complicated tax situation. Who would’ve thought? We don’t have any travel plans for April, which should make for a quiet month! The only big event is FanX Salt Lake City – SLC’s version of Comic-Con. We’ll be going both days for sure. Enjoy the Cherry Blossoms that are blooming around Salt Lake! Spring in Salt Lake City is absolutely beautiful, and I want to take advantage of it. Since I love programming and staying in, sometimes this means giving myself a good kick to get outside and enjoy life – but I’m always glad when I do it. How as your March? Do you have any plans or goals for April? Thanks for sharing your asset allocation, very helpful. 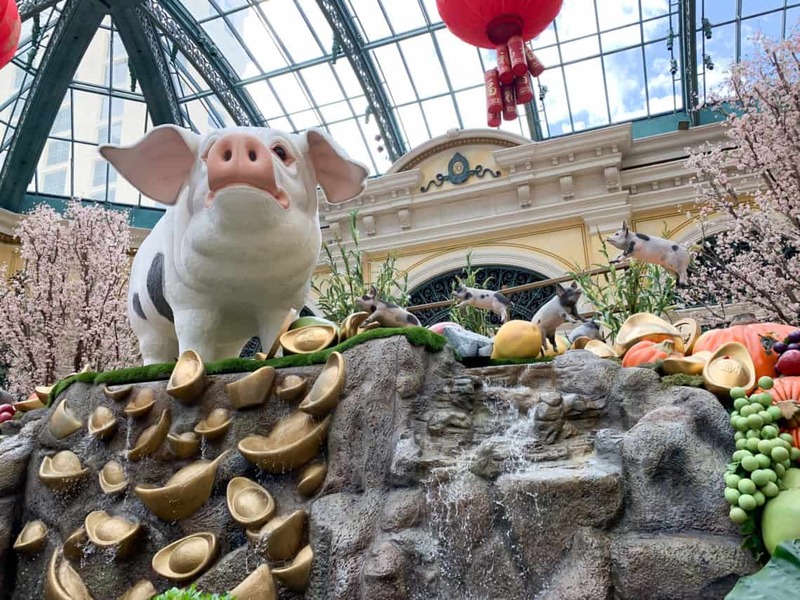 Any details you can share on your goal of reducing US stocks (including eliminating small cap) as well as increasing your International Stock and Bond allocation? Thanks! Hey Dave! For my US vs International allocation, I prefer a 2:1 US to Intl. The US market makes up about half the total world market, so to match that you’d even want to go 1:1 (which is closer to what Betterment does). But that implies that all markets are equal. Historically, the US has one of the lowest variances of any – allowing for more consistent returns. As far as the small-cap fund goes, I’d love to sell it, but then I’d need to pay taxes on some of those gains. For now, I’m aiming to just hold onto them. Once I need to sell stocks to harvest some capital gains, that’ll be one of the first ones I sell for sure! I think some of the ways I’ll increase bonds is by adding more to my wifes 401k. That’s the ideal account for it for tax-reasons. A few observations. A ~50% allocation to equities seems a bit light for a retirement that’s going to span 40+ years? What is the objective of the cash/bond allocation of the portfolio (other than tax reserves and emergencies)? Do you need the (taxable bond) income assuming your wife is still working? Ahh yeah that’s a good point Joe! I didn’t mention how the asset allocation would change over time (that’s a good idea for a post). The 50% equities is a good target for now due to taxes and the potential sequence of return risk. I think you’re right though – because my wife is continuing to work right now, the sequence of return risks is severely less than if we were digging into our accounts at the full 4% pace. I’m probably on the extremely conservative side on that one for the moment, but that’s more due to timing than strategy. One of the unknowns is also if my change to retirement will inspire my wife to do the same (or more importantly when). Once we know a bit more about these unknowns (taxes, our spending with one of us retired, my wife’s future work) we’ll adjust our equities/bond allocation. If she continues to work for a number of years, that’ll likely mean moving the stock back up to the 70%+ range. I love how you own your spending and show how it’s connected to what you value. And it’s certainly within the bounds of what you can afford. I also love seeing your cash position! Thanks for making me feel better. 🙂 I’m also curious at your 25% bond allocation with that 10% cash. I’m at 15% bonds right now. I should probably bump it up but with the cash it does seem a bit conservative. But honestly it’s not as if you’ll never make money again, so this could be good peace of mind and insurance against major losses. 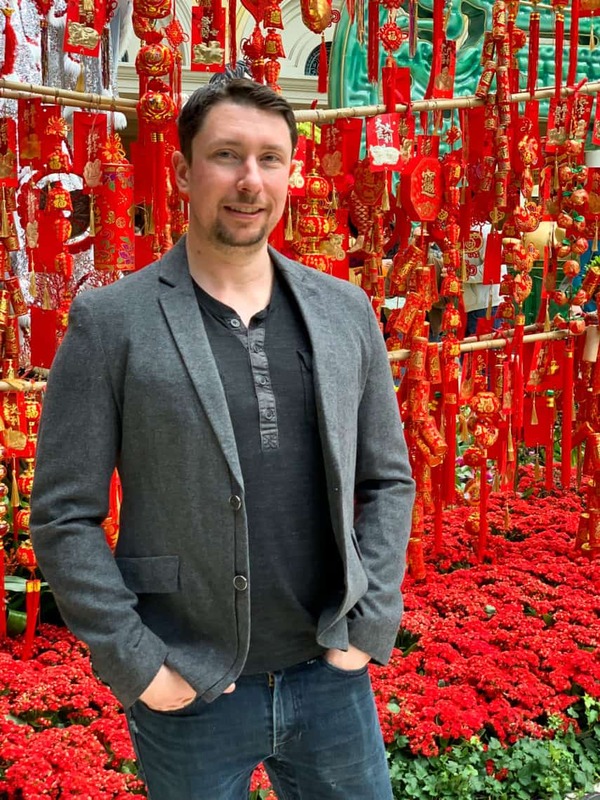 Adam, thanks for candidly sharing your net worth report – so inspired by your story and the progress you and the Mrs. are making toward your financial goals! I’ve thought about creating a net worth report and tying it into my personal development goals as well – it’s so interesting to see beyond the numbers and into the interests and priorities that drive them. Thanks for what you’re doing with Minafi. Thanks Jules! I always love reading progress updates on what’s going on in peoples lives like this. It helps get ideas on how to organize thoughts and plans. Definitely be curious if you write your own!